Follow Me.Water, Fire, and Sacrifice - Follow Me. 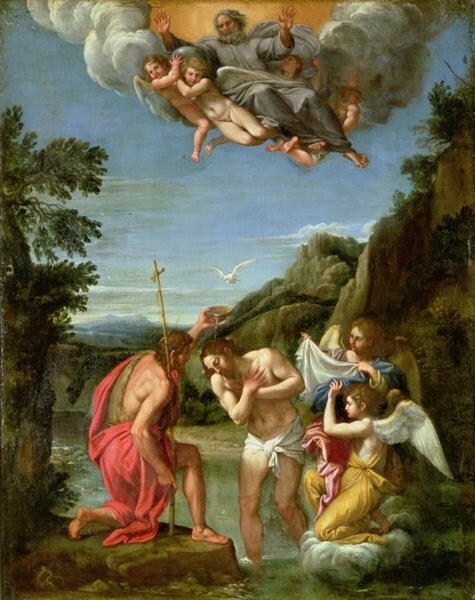 John apposes his baptism of water to Jesus’ more efficacious baptism “with the Holy Spirit and fire.” From the beginning, in Genesis, we see the earth covered with water. From this environment, inhospitable and deadly for humans, God brings order and creates his image and likeness: humanity. When man fails to live according to this image and likeness, fire is introduced in the form of a the cherubim’s revolving sword (Gen 3:24): a fire of punishment, purification, and sacrifice. By Noah’s time, God’s image on the earth is so disfigured, that once again water and death are introduced. But God preserves Noah, in whom he finds favor because of his obedience (Gen 6:8, 22). 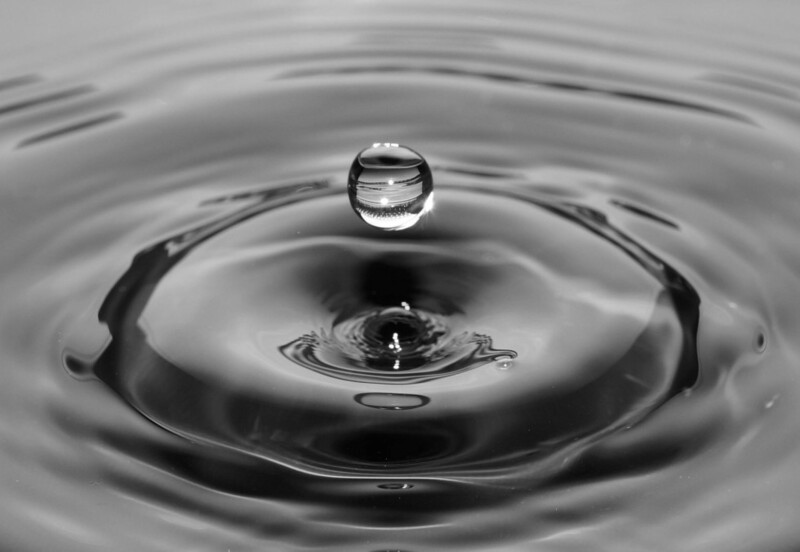 At the end of the flood, God’s pristine image reemerges in the person of Noah. As a sign of Noah’s right relationship with God, fire is once again introduced: Noah builds an altar and offers a burnt sacrifice to God. 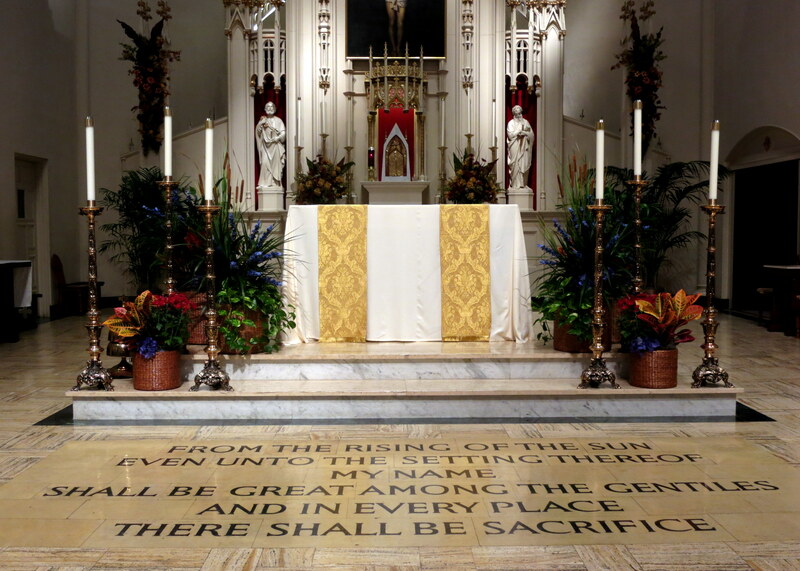 The smell of this pure, obedient sacrifice reaches heaven and is pleasing to the Lord, who vows never to flood the earth again. Several generations later, we once again see the Lord bringing his chosen one out of water, as he leads Israel through the Red Sea. The pillar of fire leads them to Sinai, where God has appeared to Moses in the form of a flaming bush. Here the Israelites are purified to make sacrifices, and given the law so that they can be obedient to God and live up to their status as his beloved people. Of course, they continually fail in this regard and God constantly calls them back to obedient sacrifice through his prophets. Elijah, for instance, calls down the fire of God onto the sacrifice to sway the people away from the priests of Baal. At the end of his ministry, Elijah crosses the Jordan river and is taken up to heaven in a fiery chariot with a whirlwind. So the prophet Malachi voices God’s frustration with Israel’s infidelity, while at the same time offering an ultimate solution: God will first send a messenger, and then the Lord himself will come and “purify the Levites, refining them like gold or silver, that they may bring offerings to the LORD in righteousness. Then the offering of Judah and Jerusalem will please the LORD, as in ancient days, as in years gone by.” (Malachi 3:3-4). At the end of Malachi the Lord reveals that Elijah is the messenger who precedes Him, and who will call us back to an obedient relationship. So when the new Elijah, John the Baptist, proclaims that the one who comes is bringing “fire and the Holy Spirit,” we can think of Elijah, Moses, Noah, and Adam. But we should also think of God Himself, who promised to come and refine the Israelites. He has also come to fulfill God’s proclamation through Malachi that “from the rising of the sun to its setting, my name is great among the nations; incense offerings are made to my name everywhere, and a pure offering” (Malachi 1:11). All of this is to say that today’s Gospel shows that Jesus is the perfect, obedient, Image of God who emerges from the water and comes to bring fire. But he is also God Himself. As the eternal Son of the Father, he has always been obedient and pleasing to Him. But now he has come to reshape us back into the image of God, incorporating us into Himself, and refining us with the fire of the Holy Spirit so that we can make a pure offering that is pleasing to God. The beginning of Jesus’ ministry is marked by water, and the end will bring the fire of Pentecost. At the Mass, we who have emerged from the baptismal waters, saved from eternal death, and refashioned into beloved children of God, now do what all God’s beloved children are meant to do: we bring sacrifice. Each of our vocations is a way of self-offering. But, like the Israelites, our sacrifice is imperfect. We can look over the past week and recognize the many missed opportunities to love God and our neighbor, the mixed motives with which we performed good actions, the idols of pleasure that we have turned to out of disobedience. If we have fallen into grave sin, then justice requires that we go to confession in order to recover our baptismal dignity. But even if we are only marked by venial sin or by the smallest imperfections, the prayers, works, joys, and sufferings that we bring to the Lord’s altar are still in need of divine purification. That is why we have the fire of God’s charity in the person of the Holy Spirit. This fire refines us so that our self-offering can be made pure, and it melds it to the one perfect offering of Jesus on the cross. Those in seminary or the religious life are said to be “in formation.” But it’s important to realize that formation is important for every vocation, both before and after entering into our state in life. 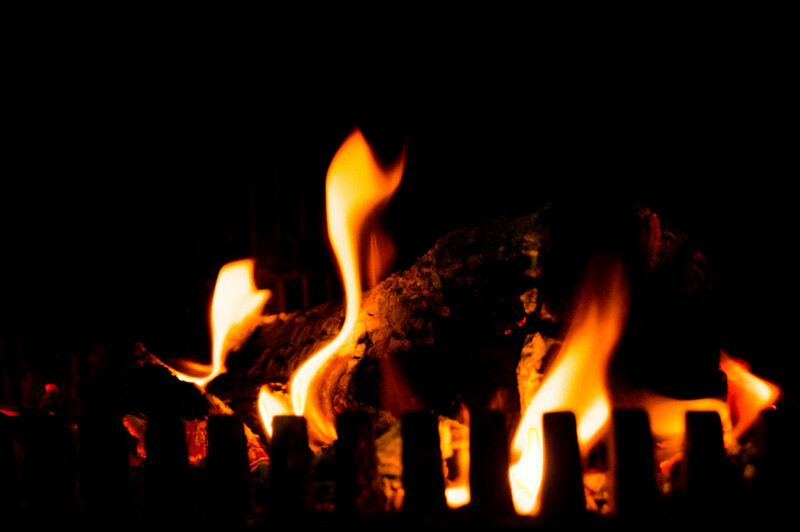 All of us have been reshaped into God’s beloved children in the baptismal waters, but all of us are also in continual need of perfection through God’s purging fire. God purges and refines us through our human weaknesses, the trials of life, the people around us, and voluntary penance. If we are in the state of grace, we have the supernatural fire of charity within us, so we simply need to apply the kindling of life’s circumstances and our voluntary penances to this fire and they will take on the light and warmth of love. Humility is the first step, acknowledging that we cannot endure these trials simply by our human power. Patience is the next. Patience is the intense, slow-burning fire that we can apply to our human weaknesses, as well as the sins and failings of others. It turns all these things into opportunities to love, to experience God’s healing, and to prove ourselves as his beloved children rather than rebellious, impatient, and unfaithful people. Sometimes, when a person hears the initial call to their vocation, trials will come almost immediately in the form of increased temptation, pressure from family and friends, financial obstacles, or other circumstances. If the person takes a step back and views these through the eyes of faith, it’s obvious that the Lord is allowing these trials in order to purify the person’s fidelity and obedience. “Will you allow me to purify your love for me and prepare you for an even greater self-offering? Will you remain my faithful, beloved child as Jesus did on the cross?” He seems to be asking. In these moments, and in all others, it is crucial for us to turn to Christ, the beloved Son, and entrust our weak humanity to him. He will imbue us with his Holy Spirit and bring us “through fire and water” and “into freedom” (Psalm 66:12). That is, the freedom of the sons of God, who offer Him sacrifice and in whom he is well pleased.